The alders are falling one-by-one, hurrah, hurrah. The old melody from “When Johnny Comes Marching Home” with my twist of words rambles through my brain as I watch men cutting down alder trees across the street . 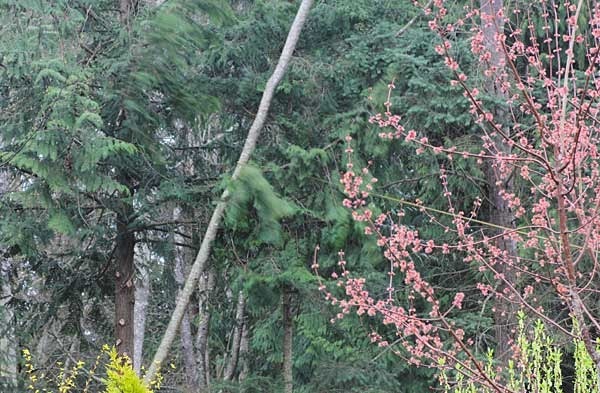 For situations where it is essential to remove trees and their debris from the garden for a better landscape and healthy environment, I only trust a professional tree company to take lead in this regard. The muffled sound of a chainsaw followed by a distinct thud reaches into my home office. All morning, I’ve watched each alder fall. The conifers left behind look better after being freed from the deciduous tree branches. At first I watched from the comfort of my office. Boom! Down goes another alder. 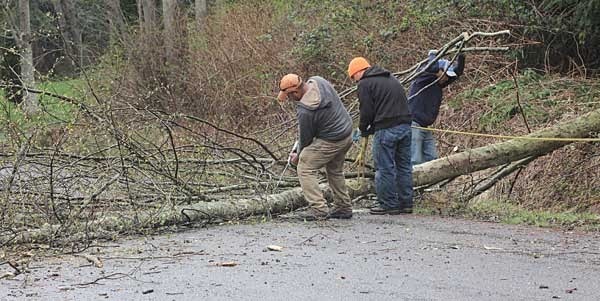 Ten years ago, county crews came out and topped three of the alders along the street. They left three, tall, branch-less poles. I assumed the crew would come back and finish the job, yet the three stood there and slowly died. One-by-one they rotted and fell. Each individual came down on the street or into the ditch. Today, as I watch the loggers from tree removal company perth tying ropes to the trees and pulling them down as they cut, I realized any of those trees could come my way. However, I relax after watching them expertly fall where they wanted them. The only alder I am going to miss is the largest one on the corner. This old alder (relatively speaking, since alders don’t live that long) has a routine visitor-a pileated woodpecker. I often hear him tapping on the tree, and if I get my binoculars focused on him, I can watch him tapping holes in search of insects. My neighbors recently moved out and I am watching this recent scurry of activity, hoping that they are going to raze the dilapidated old place and build a new home. Last year they shared their plans of taking the trees and wild bushes down. 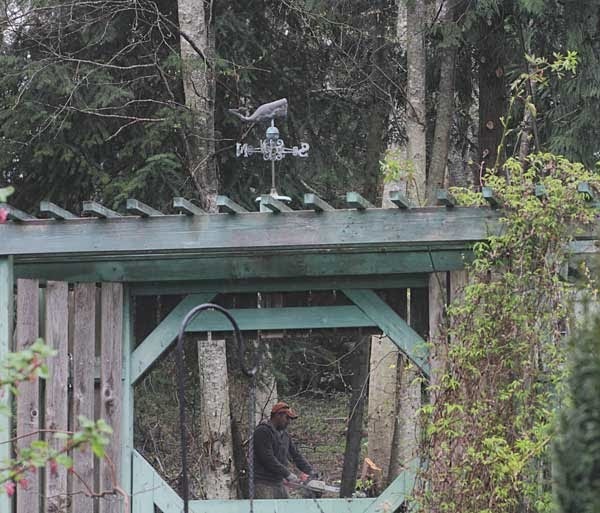 Having had those trees and native plants giving me privacy for nearly two decades, I have scurried about planting things to grow tall enough to keep me secluded from their home that sits higher on a hill. Cutting the tree to fall in the same directions as the others. Looking like a game of pickup sticks, a jumble of trees lay about the property. Directly across the street from where I sit, a man climbs another alder and ties a rope high in the tree. The other men will pull on the rope when he gives them the signal. He climbs down and puts the chainsaw to the base of the tree. He signals his men, who pull the rope tight, and with the help of gravity, they guide the tree down to where they want it to fall. 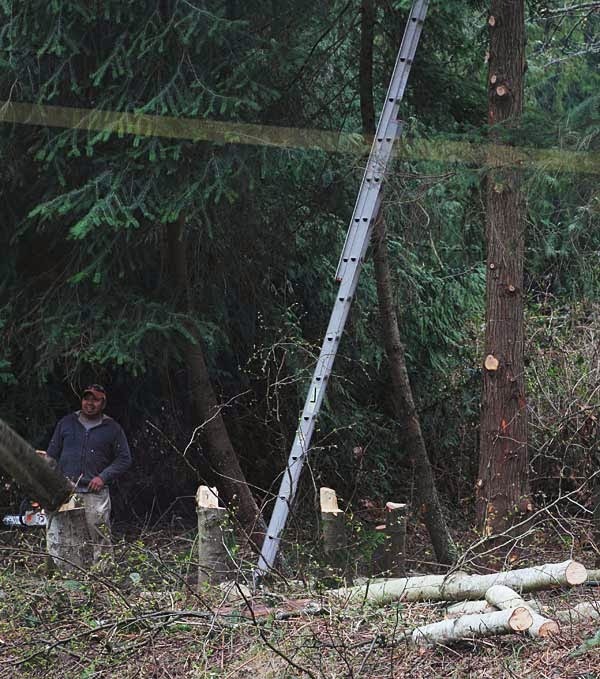 How funny it is to watch men in trees, especially when they climb up with their chainsaws dangling beneath them. Today they aren’t bringing the tree down in sections. The trees are coming down whole. Looking up to the top of the trees I wonder if they are tall enough to hit my house if they fell the wrong way. Maybe I should move to the back of the house for a few minutes, just in case. No, I’m going outside to photograph them at work. Underneath my porch, I photograph a sequence of still photographs of the tree falling. I’m not satisfied with the fence blocking the view as the tree hits the ground. Out at the edge of the driveway and out of harm’s way, I can catch the process of the tree hitting the earth. Tree is falling 90° in the wrong direction. You can see the rope being pulled in the direction it’s supposed to go. I notice the next tree they are setting the rope on is leaning in the opposite direction of the way they are going to pull it. I set up my tripod and camera up in the direction I believe they want it to fall. Nonetheless, I am skeptical that the tree will fall that way. I assess the lean and the way gravity is going to want to pull it. The weight of the tree and gravity versus two men and a rope I believe I know who’s going to win this tug of war. Yet I keep the faith that these men know what they are doing, in spite of my assessment. The tree starts to come down and I snap the shutter and realize tree is not going the way I thought gravity would take it, and not going the way the men are pulling it. It comes down between the directions. It’s headed straight towards my fence. I can hear myself involuntarily yelling “No, no, no!” My fence or my shrubs are going to be smashed. The tree hits the ground, the men jump down onto the street and I rush over to see that the tree narrowly missed my Cotinus bush. Nothing harmed. The men launch their cleanup efforts. I photograph a mess of tree that now blocks the street in front of my home. My adrenalin is pumping wildly, but eventually my breathing returns to normal. They quickly clean the tree from the road. Maybe they planned it to fall that way, but it seems strange to do so, seeing how close it came to wiping out my shrubs. I’m glad no one drove down the street at that time. I’ve changed my mind about their expertise. Too close for comfort, but nothing harmed, except my nerves. Many years ago, I had a massive alder taken out that leaned over my travel trailer that I kept on a recreational property I owned. I hired men who regularly took trees out around the neighborhood and thought they must have a good reputation. The men began cutting the tree while my daughter and I were in the car trying to move it out of the way, just in case the tree fell wrong. I couldn’t start the car, so I let go of the brake and let it coast down to the bottom of the hill. The men were oblivious to my situation, intent on their task. We sat in the car at the bottom of the hill and watched in horror as the men cut the alder and the rope tightened as another man gunned the vehicle to which it was tied. The tree began to fall towards my trailer and shed, and caught momentarily in midair. Then at the last minute, the truck managed to pull the dangling alder away from the trailer narrowly missing it when it fell. The tree was large enough that it would have demolished the entire RV. I now know that the position of that tree was too dangerous to fall it in one piece. 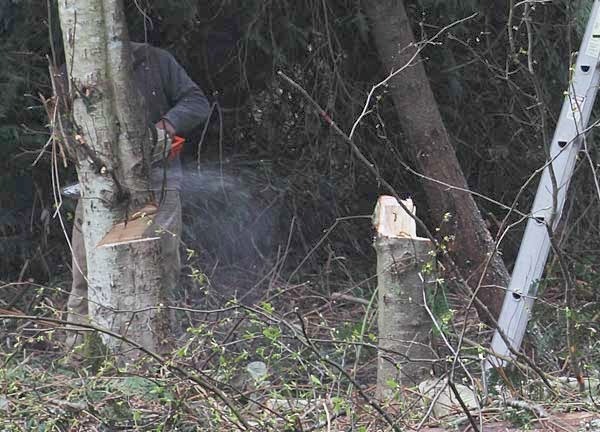 It should have been taken out in chunks by a skilled, licensed and bonded tree expert. A few months later, these same men were nearby, taking trees down on a windy day. They dropped one on another recreational vehicle, demolishing it. In my own naivety, I hired hacks. I was fortunate, I didn’t have to learn the hard way. 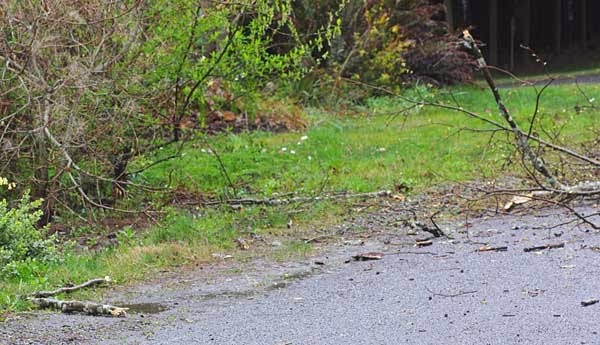 When it comes to falling trees, trust no one, and hire only those with a long list of credentials and are licensed, bonded and insured. Click on the following to shop for car loans online.